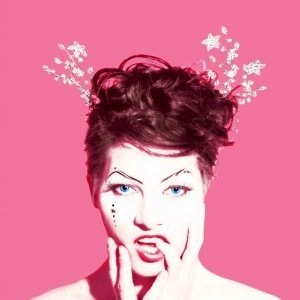 After all the buildup, it’s a wonder to behold: Amanda Palmer and the Grand Theft Orchestra’s Theatre Is Evil is over 70 minutes of kitchen sink goodness, produced deftly by John Congleton. Palmer, the reigning queen of Kickstarter, raised over $1M to underwrite this project, culling the very last laugh while doing a dance on the ashes of what we fondly knew and loved as the “music industry,” backed by the love of a fiercely loyal audience. The ’80s hovers like a ghost over Theatre Is Evil. “Smile (Pictures Or It Didn’t Happen)” is just the entry point for Palmer’s Exacto knife explorations of the human condition. Highlights include: “The Killing Type,” (peep the brand new Tim Pope directed video below), and “Trout Heart Replica,” an Amanda confessional, give a stirring string arrangement by Jherek Bischkopf, the wild card in this particular deck. “The Bed Song” is a showstopper live. David J makes an appearance on “Melody Dean,” and the finishing one-two punch of “Berlin” and “Olly Olly Oxen Free” is staggering. Amanda Palmer has always been about finding the fine line between art and sustenance, but more so about ripping out the potential of any given situation.